1 Who is Faze Rain? 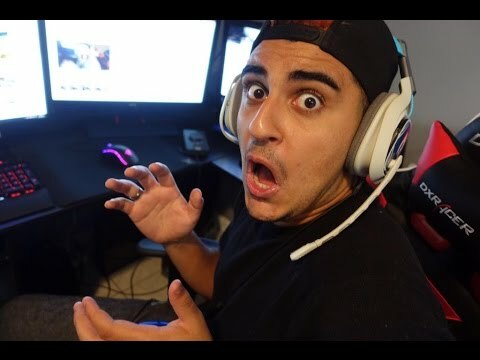 Nordan Shat was born on 29 May 1996, in Toronto, Ontario, Canada, and is a professional gamer and YouTube content creator, best known for finding popularity through his skill in shooter games, and posting them on his YouTube channels TrickShotting and OMFGRain. He then eventually joined the professional gaming group FaZe Clan, owned by Thomas Oliveira. How rich is Faze Rain? As of mid-2018, sources inform us of a net worth that is at $400,000, mostly earned through success on YouTube and as a part of FaZe clan. He is one of their most popular members, and as he continues his career, it is expected that his wealth will also continue to increase. Rain grew up in what he called a happy family with his parents and a sister. He was overweight when he was a kid, but eventually lost that weight over the years. He loved making people laugh, and he became a class clown in school which often got him a lot of trouble with the teachers and the principal. Despite that, he managed to get good grades. However, at the age of 7, his family started having problems as his parents argued consstantly, leading to depression for both him and his sister. Her parents eventually separated, and the two siblings often found themselves at their mothers. Not long afterwards, his father just disappeared and went off the radar, never to be seen again, leading him to get depressed even more. His mother and sister seemed to have moved past him at this point. Around this time, Rain started becoming interested in games, and played a lot on the PlayStation 2. Faze Rain would eventually meet his future stepfather, who would help him recover and raise him. Everything started well, but after a while things became problematic once more, to the point where he was so unhappy with his situation, that he tried to take his own life by overdosing on Advil, and ended up in hospital for a week. After this encounter, he started seeing a therapist consistently over three to four years, who really help him to get back on track – the therapist advised that he should start focusing on a hobby. During that time, Rain b ecame very interested in YouTube, and watched a lot of videos of people making trick shots for the video game “Call of Duty”. He then decided that he wanted to start making his own YouTube videos, and once he started, it quickly ignited as his passion. According to him, his aim in YouTube is to make people happy, spread positivity and connect with his fans. His popularity grew as he started to make some of the most skilled trick shots in “Call of Duty”, which eventually earned him an invite to join FaZe Clan. FaZe clan was founded as a gaming clan on YouTube by various players, who all created trick shots from the video game “Call of Duty: Modern Warfare 2”. They were mainly a YouTube-focused gaming group until “Call of Duty: Black Ops II”, when the organization decided that they wanted to enter competitive play. Since then they’ve appeared in various high profile competitive shooter games, such as “Counter-Strike: Global Offensive”, “Overwatch”, “PlayerUnknown’s Battlegrounds”, “Fortnite Battle Royale”, and “Tom Clancy’s Rainbow Six Siege”. My setup in Canada complete. #Rat #Ratface #CantStopARat #Quickscope ?? Rain remained as one of the members who primarily focused on YouTube content, but as time went by, he felt the need to expand his content from simply making trick shot videos. He eventually started uploading vlogs, and showcased his fans some of his daily endeavors along with other FaZe clan members. He also expanded into playing other games, and also does channel updates, as well as challenge videos and comedy videos, often collaborating with other Faze members. He would go on to attract millions of subscribers on his YouTube channel. Faze Rain was in a relationship with a girl named Taylor whom he introduced in a YouTube video in 2014; their relationship was apparently going well but after two years the two broke-up, eventually opening-up on YouTube to his fans, confirming that they had split. He also explained that the two of them argued often, and the unhappiness in their relationship grew. A big problem they had was their long distance relationship, which played a pivotal role in ending things. Before their relationship ended, Taylor appeared in a lot of his YouTube videos, and she even had an active Twitter page named Faze Taylor. However, since their break-up, her page has been inactive.